Scanning is disabled by default when you first open the Grader. 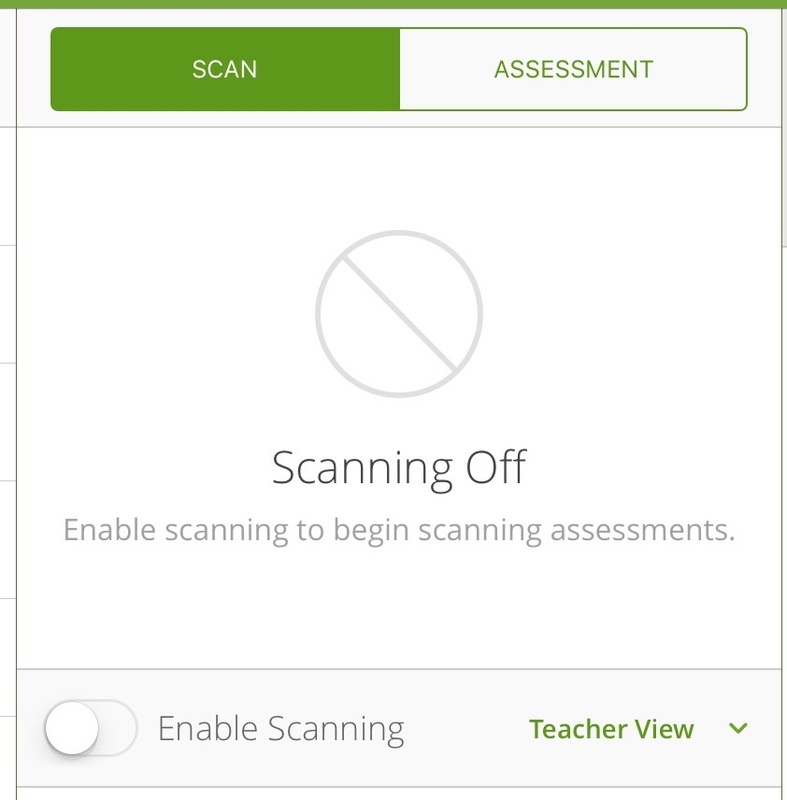 To begin scanning student bubble sheets, you must first enable scanning using the toggle button. When scanning, you don’t need to be as close as you think—just make sure the entire border of the bubble sheet box is visible in the GradeCam window. Note: Don’t worry about making a mistake, Teacher app won’t allow you to scan the same form twice. You may continue to scan bubble sheets until your entire pile has been scored. When you are finished, you’ll find that your scores have already been uploaded to your tracker. 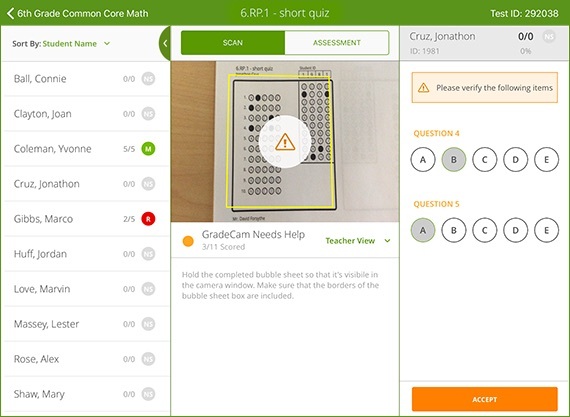 As you scan, if GradeCam is unable to accurately read a student answer (usually due to bubbles being filled incorrectly), you will be alerted and asked to intervene. In the example below, Question 4 has a double-bubble and Question 5 was left blank. Correct answers are shown on the right, grey with a green highlight. Simply select the answer(s) you believe the student intended for the question—or leave them blank—and click Accept to continue scanning.